The Menuhin Competition Trust is a UK registered charity. Since 1983 it has consistently attracted some of the greatest violin talents from all over the world and brought them together in an exceptional atmosphere of learning and exchange. Dubbed ‘the Olympics of the Violin’, the Menuhin Competition is the world’s leading international competition for young musicians under the age of 22. 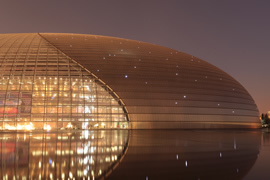 Many of its prizewinners have gone on to successful international careers. 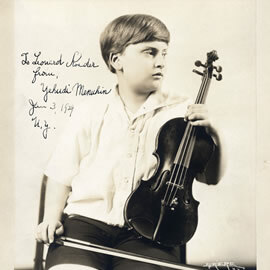 Yehudi Menuhin’s key to success was his excellent music education as a child and his ongoing dialogue and collaboration with fellow musicians. To enable young violinists from all over the world to have an equally enriching and stimulating environment, he founded the Yehudi Menuhin School in England in 1963, the Menuhin Music Academy in Gstaad/Switzerland in 1977 and the Menuhin Competition in Folkestone/Britain in 1983. The Menuhin Competition is traditionally invited by a host city or a host organisation and has recently been held in London/England, Cardiff/Wales, Oslo/Norway, Beijing/China and Austin, TX/USA. It returned to the UK in 2016, taking place in London from 7-17 April 2016 to celebrate the centenary of Yehudi Menuhin’s birth, and was then held in Geneva/Switzerland from 12-22 April 2018. The next Competition will take place from 14-24 May 2020 in Richmond, VA/USA.